Ubisoft has wasted no time in announcing their next numbered installment in the Assassin’s Creed series. On thursday they’ve unveiled Assassin’s Creed 4: Black Flag which takes the game to the high seas. With the announcement, they’ve said that the game will be coming to the PS3, 360, Wii U and PC, with the PS3 version getting 60 minutes of exclusive gameplay. 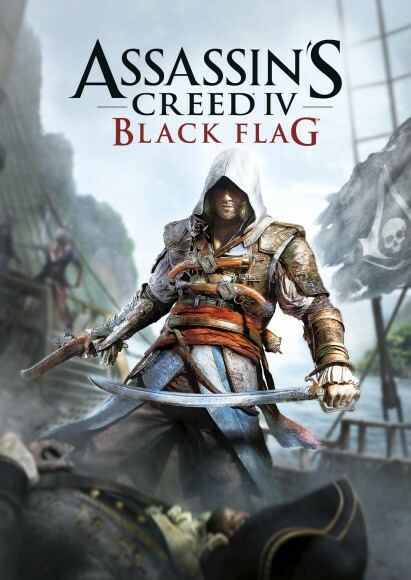 As you can see from the graphic above the assassin will be a pirate of sorts wielding a cutlass and dual pistols with a black skull-adorned flag behind him.